Beware of allergies make sure it is safe for the children in your group to handle the food used in this activity. For a dairy/gluten-free alternative use suitable cone cups, dairy-free chocolate and suitable round sweets the size of giant chocolate buttons. *Make sure the serrated knife is kept out of the children's reach. Make a sample chariot so the children know what they are making. Before the session gently melt the chocolate. Make sure it has a smooth consistency but is not too hot for the children to use. This should be done by an adult. 1. Wash your hands and make sure the surfaces in your teaching area are clean. 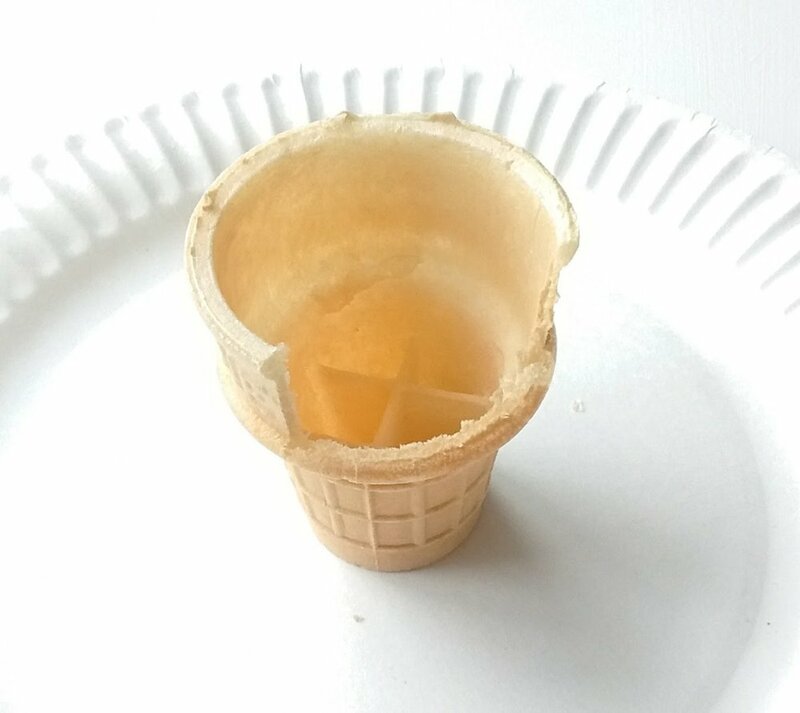 Carefully cut a section out of the cone. You can do this by gently sawing the cone with a serrated dinner knife. 2. 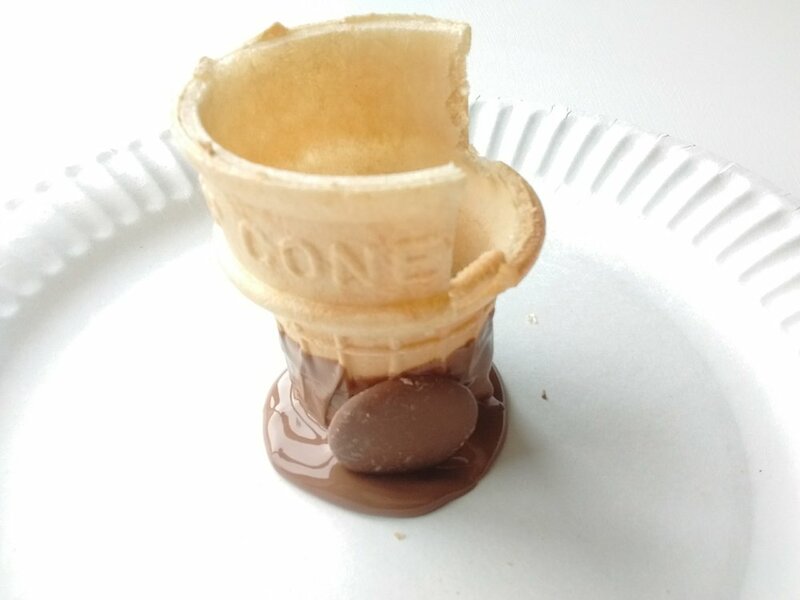 Dip the base of the cone into the chocolate then quickly place it on your paper plate. 3. Press two chocolate buttons against the side of the cone to look like wheels. 4. Colour in and cut out a soldier. Stand the soldier in your chariot. 5. Arrange a strawberry shoelace so it looks like the soldier is holding some reigns.